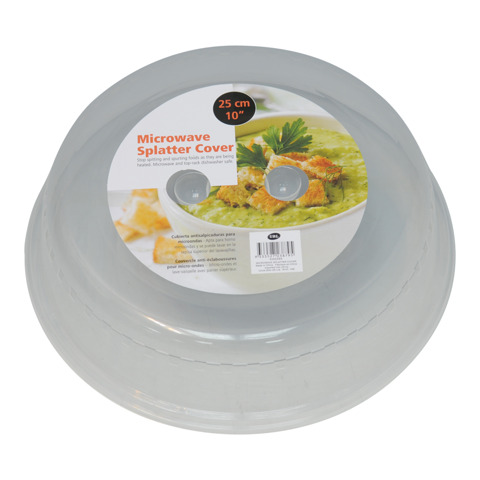 Splatter Microwave Cover 25Cm. 25.5 x 6cm. Clear. PP Plastic. 74G Packaging: Bulk Packed with Sticker.